Bryce Landry, country music's hottest star, has it all, or so everyone on the outside thinks. They can't see his struggle to discover himself, to find his place in unfamiliar territories, both as a dad and as a Christian. He takes a month off and escapes to the small town of Oden Bridge, Louisiana, where his daughter lives with his grandparents. Sweet romance nominated for 2016 Audie Award! Cole has fought hundreds of fires in his lifetime, but he had never tasted fear until he came to fighting a fire in his own home. 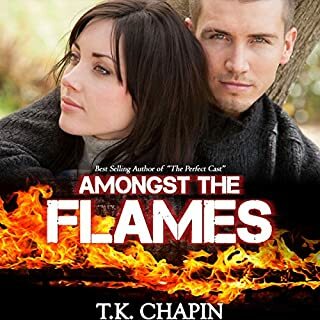 Amongst the Flames is a Christian firefighter romance that tackles real-life situations and problems that exist in Christian marriages today. It brings with it passion, love, and spiritual depth that will leave you feeling inspired. This contemporary Christian romance novel is one book that you'll want to hear over and over again. Missy may have a knack for fixing cars, but she sure can't cook. 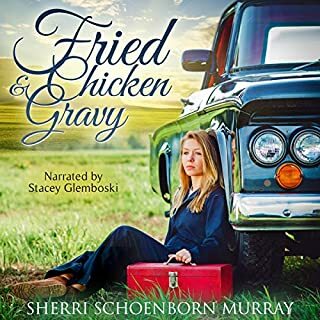 Missy Stuart is humiliated when she burns dinner for the cute yet outspoken new auto parts rep. But when he suggests to her father that she should take cooking lessons from the old ladies down at his church, she wants to crawl under a car and die. When she dutifully accompanies her father to church, she finds she has more to learn than a bunch of recipes. Excellent Christian Romance and Excellent Book. Helicopter pilot Anna Morgan hasn't flown since her husband's death several years ago. Instead, the young army widow has sought refuge with her son on peaceful Rose Island. Surrounded by family and friends, Anna vows never to do anything more dangerous than arrive late to a PTA meeting. All that changes when Captain Nick Peterson comes to the island to take custody of his orphaned nieces. Anna feels compelled to help Nick with the girls, but what is she supposed to do about her growing attraction to him? Cord McGraw never intended to take up the life of an outlaw, but desperation changed the course of his life. A one-time deal; that's all it was meant to be. He only needed enough to see him through until he got the pay owed him. Someone was counting on him, and he couldn't let her down. After a year of grieving her divorce and living a life permanently stuck on pause, Laila Richardson is finally ready to have her own happy ending. 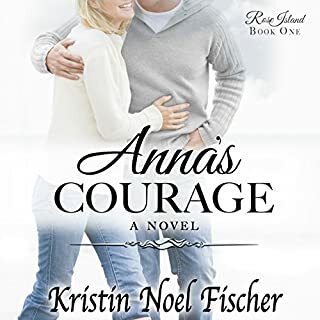 Then a listing for a quaint cottage in another town answers her prayers for a fresh beginning - one that will bring her closer to her new boyfriend, Ben. Unfortunately, in her small town of Fairfield, Georgia, letting go of the past is virtually impossible. No one wants to see her move on, including the man who destroyed her heart to begin with. Police Officer Tuck Chandler is good at his job. He's also good at holding women at arm's length. Jilted by his fiancée for his dedication to his job, he's not about to open himself up to hurt like that again. Laurie Blake is a struggling photographer. After growing up in a wealthy family, she's determined to make it on her own, even if it means doing it the hard way. 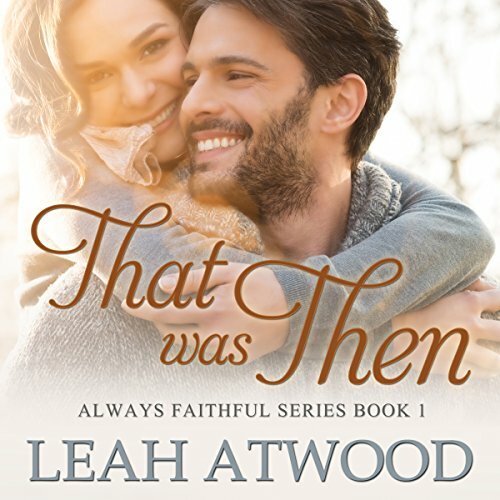 From a USA Today Best-selling Author, comes the first book of the Always Faithful series. When her mother died, only one person came to mind for Meg Bailey to call. Wyatt Deluca - US Marine, first love, ex-husband. Seven years have passed since they've seen one another. 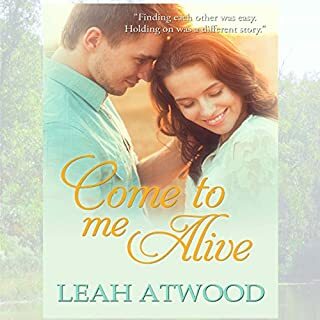 To fulfill a parting promise to always be there for Meg if she needed him, Wyatt - scarred, broken, and in need of healing - returns to his small hometown of Lilston, Pennsylvania. He went to comfort Meg. In Meg, he finds solace. Can time heal their battered spirits and restore their lost years? A heartwarming inspirational romance for all those who seek life abundant in the midst of life's trials. Wonderfully performed, clean story of restoration of faith and a marriage. 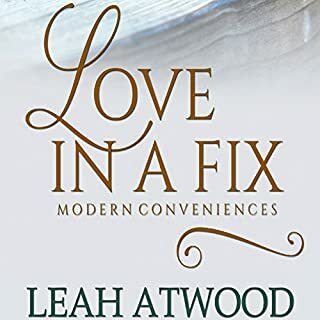 Getting an audio book written by Author Leah Atwood is a sweet investment, every time.